ESSEX — Officers with the Essex Police Department will host a Tip-A-Cop event to benefit Special Olympics Connecticut at the Griswold Inn on Monday, July 21st, from 5 to 10 pm. The Griswold Inn is located at 26 Main Street, Essex. During the event, officers will assist restaurant staff in taking orders and serving meals to restaurant patrons. At the end of the evening, all tips the officers receive for their efforts will go to Special Olympics Connecticut to support its year-round sports, health and fitness programs for athletes of all abilities. The Law Enforcement Torch Run® for Special Olympics Connecticut is one of the movement’s largest grass-roots fundraiser and public awareness vehicles. This year-round program involves law enforcement officers from across the state who volunteer their time to raise awareness and funds through events including Tip-a-Cops, Cop-on-Tops, and Jail N’ Bail fundraisers. In addition, each year in June, over 1,500 officers and athletes carry the Special Olympics “Flame of Hope” through hundreds of cities and towns across the state, covering over 530 miles over three days. The runners run the “Final Leg” and light the ceremonial cauldron during Opening Ceremonies for the Special Olympics Connecticut Summer Games. Platinum Sponsors: Dream Ride 2014, Whelen Engineering, WWE; The Bearingstar Insurance Charitable Fund; JN Phillips Auto Glass;Gold Sponsors: Adams Hometown Markets / IGA Hometown Supermarkets, Papa’s Dodge. Special Olympics Connecticut provides year-round sports training and competitions for over 14,000 athletes of all ages with intellectual disabilities and Unified Sports® partners – their teammates without disabilities. Partner Sponsors: Adams Hometown Markets/IGA Hometown Supermarkets, Connecticut Light & Power/Yankee Gas/Western Massachusetts Electric (Northeast Utilities Companies), Law Enforcement Torch Run, NBC Connecticut, TD Bank, United Technologies and WWE. Year-Round Suppliers: Adams Hometown Markets/IGA Hometown Supermarkets, Campus Customs/Cymplify, The Coca-Cola Bottling Company of New England, Crystal Rock Water and Coffee Company, Dunkin’ Donuts, Graebel Connecticut, Guida’s Milk and Ice Cream, Lamar Outdoor Advertising, Marcus Communications, State of Connecticut Judicial Branch Community Service and Worx Branding & Advertising. Durham residents will soon have greater mobility with new access to a regional transit system. Beginning July 1st, the town of Durham will begin a contract with 9 Town Transit to provide general public Dial-A-Ride service throughout the town. 9 Town Transit, operated by the Estuary Transit District, currently provides Dial-A-Ride service throughout Chester, Clinton, Deep River, Essex, East Haddam, Haddam, Killingworth, Lyme, Old Lyme, Old Saybrook, and Westbrook. Any location within Durham will now also be included in the new expanded service area. 9 Town Transit will also offer Durham residents service to parts of Middletown including Stop & Shop supermarket, downtown, Middlesex Hospital and the Saybrook Road area medical offices. Previously, only Durham seniors and persons with a disability through an application process could utilize public transit. That service, provided by Middletown Area Transit, will continue to operate within Durham, Middlefield, Middletown, Portland and East Hampton for those residents meeting these criteria. The new service by 9 Town Transit will be available to the general public who do not meet these criteria, or seniors and persons with disabilities traveling to the 9 Town Transit region. The partnership is a direct result of information sharing fostered by the recently expanded council of governments and the efforts of Durham First Selectman Laura Francis. “I am happy to begin our business relationship with 9 Town Transit, which will allow all residents of Durham to get reliable, affordable transportation,” says Francis. To reserve a trip, customers will call 9 Town Transit at least one day in advance. 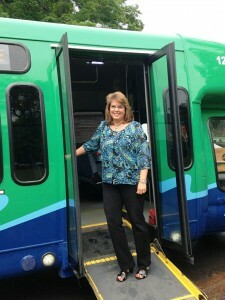 The fare will be $3.00 each way, with seniors age 60 and over eligible to ride at a suggested donation of $1.50. The hours of service are 6:00 AM until 6:00 PM Monday through Friday. The service is open to the general public with no age restrictions. All vehicles are fully accessible with wheelchair lifts and service is available for any trip purpose. Additional information, route maps and schedules are available online at www.9towntransit.com or by calling 9 Town Transit at 860-554-0551. 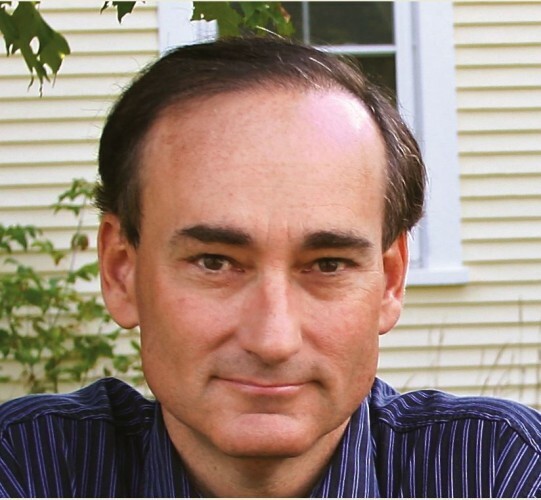 OLD LYME – The Big Book Getaway invites readers to convene at the Bee and Thistle Inn for an intimate luncheon with New York Times Bestselling author Chris Bohjalian on Saturday, July 12, 2014. The first seating from 11:00 a.m. until 1:00 p.m is sold out. A second seating from 2-4pm has been added! This is the second of four events in the Blockbuster Summer Reading Series. The Bee and Thistle Inn will serve a full luncheon and dessert to attendees, prepared by Chef Kristofer Rowe. Having gained recognition from authors and readers all around the world, Chris Bohjalian is set to deliver yet another masterpiece in writing. With 17 novels published in more than 25 languages, nine of which made their way to the New York Times Bestsellers list, Bohjalian’s latest story, Close Your Eyes, Hold Hands will be released on July 8. Close Your Eyes, Hold Hands is the story of Emily Shepard, a homeless teen living in an igloo made of ice and trash bags filled with frozen leaves. Half a year earlier, a nuclear plant in Vermont’s Northeast Kingdom had experienced a cataclysmic meltdown, and both of Emily’s parents were killed. Devastatingly, her father was in charge of the plant, and the meltdown may have been his fault. Was he drunk when it happened? Thousands of people are forced to flee their homes in the Kingdom; rivers and forests are destroyed; and Emily feels certain that as the daughter of the most hated man in America, she is in danger. So instead of following the social workers and her classmates after the meltdown, Emily takes off on her own for Burlington, where she survives by stealing, sleeping on the floor of a drug dealer’s apartment, and inventing a new identity for herself — an identity inspired by her favorite poet, Emily Dickinson. When Emily befriends a young homeless boy named Cameron, she protects him with a ferocity she didn’t know she had. But she still can’t outrun her past, can’t escape her grief, can’t hide forever — and so she comes up with the only plan that she can. A story of loss, adventure, and the search for friendship in the wake of catastrophe, Close Your Eyes, Hold Hands is one of Chris Bohjalian’s finest novels to date. Bohjalian’s most recent novel, The Light in the Ruins, debuted in 2013 as a New York Times, Publishers Weekly, and national Indiebound bestseller. Several of Bohjalian’s other books have been chosen as Best Books of the Year by the Washington Post, the St. Louis Post-Dispatch, the Hartford Courant, Publishers Weekly, Library Journal, Kirkus Reviews, Bookpage, and Salon. He has been honored with the ANCA Freedom Award for his efforts to inform Americans about the Armenian Genocide. Bohjalian also won a number of awards for his titles including Sandcastle Girls, The Night Strangers, and Midwives. Bohjalian has written for a various array of newspapers and magazines, such as the Washington Post, Cosmopolitan, Reader’s Digest, and the Boston Globe Sunday Magazine. A resident of Vermont, he is also a weekly columnist for the Burlington Free Press since 1992. Tickets to “An Intimate Luncheon with Chris Bohjalian” are $45 each; which includes a full luncheon, dessert, author presentation and book signing session. Visit www.thebigbookclub.org for more information or to purchase tickets. Tickets are also available at www.brownpapertickets.com/event/684006. The historic Bee and Thistle Inn is an important stop within Old Lyme, Connecticut’s art colony, arguably one of the most famous Impressionist-oriented art communities in America. While retaining the integrity of the historic landmark built in 1756, the transformed Bee and Thistle Inn provides a link to the past while nurturing artists of the present. Innkeepers Linnea and David Rufo are building a truly inspirational environment, which serves as a gathering place for artists and authors to collaborate, display and sell their work. The Inn is located directly next door to the renowned Florence Griswold Museum. Visit the Inn’s website at www.beeandthistleinn.com. The official bookseller for the event is Bank Square Books of Mystic. Locally owned and independently operated, Bank Square Books has been a staple of the downtown Mystic community for 25 years. The Big Book Club is a creation of LaFrancois Marketing Consultants and Essex Books. Initiated in February 2013, The Big Book Club has presented multiple “Big Book Getaway” events at Mohegan Sun, the Katharine Hepburn Cultural Arts Center and the Bee and Thistle Inn. Since its inception, more than 200 authors have presented their work to over 1,500 enthusiastic attendees. The official website is www.thebigbookclub.org . Enjoy an evening of live music on the Essex waterfront at the Connecticut River Museum each Thursday in July and August. ESSEX — Now in its fifth year at the Connecticut River Museum, Thursdays on the Dock has for many become the unofficial start to the summer weekend. This year thanks to lead sponsorship from the Essex Wellness Center and supporting sponsors Guilford Savings Bank and Connecticut River Dock and Dredge, the event that features a different band each night, Connecticut made beer and wine and the panoramic views of being on the River is back and bigger than ever. Thursdays on the Dock takes place every Thursday from 5:30 to 7:30 p.m., July 11 through August 28 on the museum’s historic steamboat dock. Phyllis Stillman, Connecticut River Museum Development Manager, said that “We are fortunate to have received more sponsorship this year that is allowing us to bring in a broad range of musical acts that will appeal to a diverse audience.” In addition to the lead sponsor, support is also coming from Guilford Savings Bank and Connecticut River Dock and Dredge. Museum director Christopher Dobbs noted that patrons will hear the sounds of “Dixie land jazz, classic rock, folk, to even steel drum music during the series.” In fact, some of the performances will be by the steel drumming White-Eyed Lizard Band, noted Irish folk singer Danny Quinn, and the locally jazzed-up Corinthian Jazz Band. Heidi Kunzli owner of the new Essex Wellness Center and leading sponsor said that she has always enjoyed coming down to the museum for these events, “There’s nothing quite like a relaxing evening by the harbor taking in the music and the view. . . It’s a wonderful experience!” Kunzli is so impressed with the location that she will be offering as part of her business yoga and tai chi on the Museum’s docks this summer. In addition to the lively music, drinks and light snacks will be served. The Museum’s main floor galleries and gift shop will also be open for a bit of waterfront and local history. The cover for the event that includes the live music, galleries, and breathtaking views is $5 per person (members are always free). 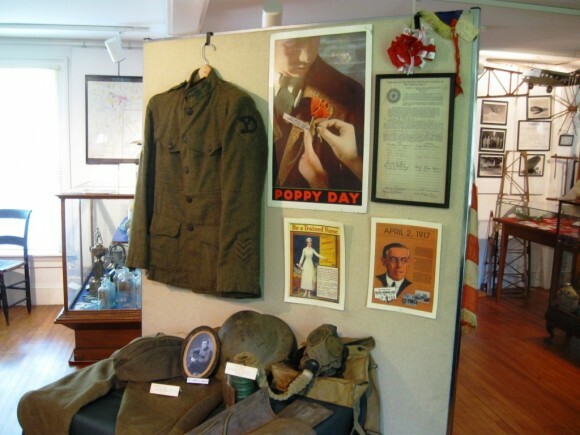 DEEP RIVER— The Deep River Historical Society is hosting an exhibit highlighting the role of town residents in World War I, which began as a conflict among the great powers of Europe in August 1914. The exhibit, at the society’s Stone House Museum on Main Street, opens Saturday and continues through the end of October. America entered the war in May 1917 in the wake of German submarine attacks on ships in the Atlantic Ocean. Records show a total of 112 Deep River residents served during the 18 months of United States involvement in the conflict that ended with the Armistice on Nov. 11, 1918. The date that is now marked as the Veteran’s Day holiday. Kathy Schultz, assistant curator at the Stone House, said the society reviewed its collection, and received several new donations and loans to prepare for the exhibit. The exhibit has uniforms and equipment, including helmets and gas masks, used by town residents during the war. There are also photographs and century-old postcards brought home from France, where most of the town residents served. While the last of the town’s World War I veterans died in the 1970s and 1980s, there are several residents whose fathers served in the war that some called “the war to end all wars.” Siblings Arthur Winschel and Alice Johnson are the children of Private Willam Winschel, who entered the war at age 21 in the fall of 1917 as part of the New York-based 305th Infantry regiment. Winschel was wounded during fighting in France in November 1918, and returned to Deep River several months later. Arthur Winschel said his father survived a German mustard gas attack that damaged his lungs. Despite the injury, William Winschel later worked at Pratt & Whitney Aircraft and died in 1974 at age 77. 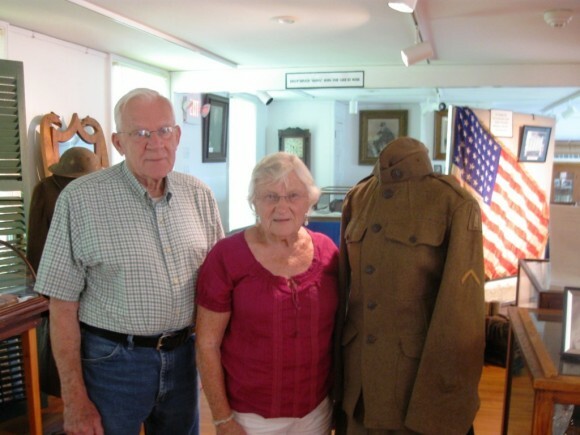 The Winschel siblings, who were not yet born when their father was in the war, have donated several items to the exhibit, including his uniform. Schultz said society members are hoping other residents from Deep River or nearby towns with relatives who served in World War I will visit the exhibit, and possibly provide information or photographs of area residents that served in the war. “We want it to be an ongoing exhibit,” she said. The Stone House hours are Saturdays and Sundays from 2 to 4 p.m., with the exception of Saturday, July 19, when Main Street hosts the annual Deep River Fife and Drum Muster. Imagine coming to a country where the language and culture are foreign to you and only a smile is universal. 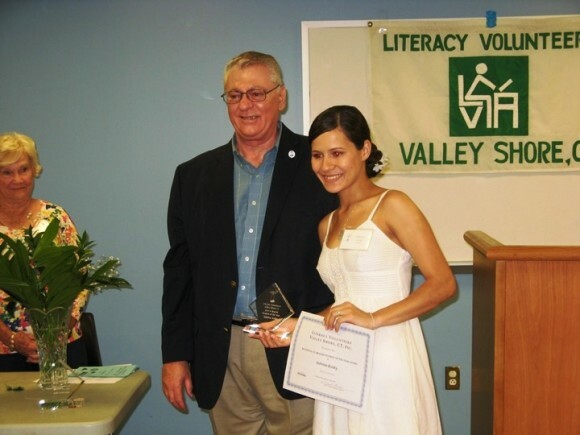 Literacy Volunteers Valley Shore’s literacy program directly acclimates students to the English language, culture, and idioms. With expanding literacy skills, confidence grows and transition begins. Imagine progressing from being functionally illiterate in the English language to gaining employment, building relationships, becoming a citizen or even owning your own business. Memberships supports the literacy needs of you, your family, your employees or your neighbors to better improve their personal, work and life skills. How is LVVS unique? Our tutoring services are free, confidential, and supportive. LVVS endeavors to meet the student “where they are” and address their needs and wants. We have pride in what we do for the betterment of the community. LVVS is a 501 (c) 3 non-profit agency and your contribution, at any level, is fully tax deductible. Visit our website www.vsliteracy.org to make a credit card payment or send a check to LVVS, Inc. P.O. Box 1006, Westbrook, CT 06498. Thank you for supporting an organization you care about in your community. DEEP RIVER— The board of selectmen is expected to decide next month on three firms that would be given an opportunity to construct industrial buildings on a recently acquired town-owned industrial parcel on the western side of the Plattwood Park Industrial Area. Six firms submitted letters on interest for use of the industrial land last month. The firms are Top Notch Electrical Services LLC, Winthrop Toll and Tackle LLC, Interpro, Colaner Inc., and Olsen Sanitation Co., all of Deep River, and Moyers Landscaping Services LLC of Killingworth. The town purchased the four-acre parcel earlier this year from local resident Gary Mislick at a appraised price of $270,000. The land is to be paid for in three installments, using revenue generated from the two town-owned small business incubator buildings on Industrial Park Road. The buildings, which are usually fully occupied with tenants, were constructed using Small Cities Program grant funds, with the first building completed in the late 1990s, and the second about a decade ago. Smith said engineers with the Chester firm Nathan Jacobson Associates have determined up to three new industrial buildings could be constructed on the parcel, two larger buildings of up to 12,00 square-feet, and a small 5,000 square-foot building. He said contracts would require a start of construction within six months of signing. The new industrial buildings are expected to generate tax revenue on buildings, equipment and machinery, along with creating new jobs for area residents. Smith said the board would discuss, and possibly act, on the proposals at its July 8 meeting. AREAWIDE— Robert Siegrist of Haddam has been nominated as the Republican challenger in the 36th house District after the candidate nominated at the party convention last month, Chester Harris of Haddam Neck, withdrew to run for lieutenant governor on a conservative petition ticket. Siegrist, 31, stepped forward and was nominated last week by a vacancy committee made up of delegates from the May 14convention. He will challenge incumbent Democratic State Rep. Phil Miller of Essex in the Nov. 4 election. The district is comprised of the towns of Chester, Deep River, Essex, and Haddam. Delegates at the convention had nominated Harris, who had run unsuccessfully for state representative in the district in 2010. But earlier this month Harris decided to run for lieutenant governor on a ticket with Joseph Visconti of West Hartford. Visconti had run for the Republican gubernatorial nomination but failed to muster enough delegates at the May 17 GOP State Convention to qualify for the Aug. 12 primary. The Visconti-Harris ticket must file petitions signed by at least 7,200 registered voters by an Aug. 6 deadline to gain a spot on the statewide ballot. Siegrist is the secretary of the Haddam Republican Town Committee. A 2001 graduate of Haddam-Killingworth High School, he graduated from Quinnipiac University in Hamden with a degree in political science. Siegrist, who is single, currently works as a bartender at the Brush Mill Restaurant in Chester. Siegrist said Tuesday he is planned to wage an active, “but positive,” campaign for the Nov. 4 vote. Miller, who served as Essex first selectman from 2003-2011, was elected as state representative in a Feb. 2011 special election. Miller was re-elected for a full two-year term in 2012. Commodore Marshall Parsons of the Sea Scouts and Steve Tagliatela of Saybrook Point Inn & Marina shake hands to commemorate the Saybrook Point Inn & Marina’s sponsorship. 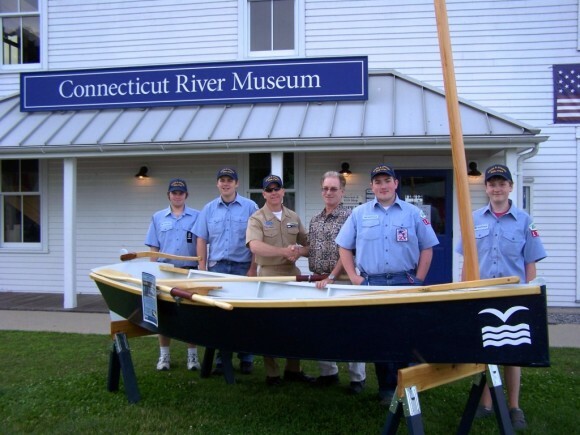 The sponsorship will allow several Sea Scouts to take part in the Connecticut River Museum’s public Boat Building Workshop to be held in August. From left to right: Reggie Walden of Old Saybrook, Isaac Doggart of Niantic, Commodore Marshall Parson, Steve Taglietela, Daniel Puttre of Old Saybrook and Cameron Fogg of Old Saybrook. The Connecticut River Museum is pleased to announce that it has received a sponsorship from the Saybrook Point Inn & Marina that will allow Sea Scouts to build a CRM 12 skiff as part of a public three-day workshop in August. The 12’ skiff is reflective of the traditional boats that were built locally in the late 19th and early 20th century. With great versatility, these skiffs were used for fishing, rowing and sailing on the River and in the tidal marshes and tributaries. 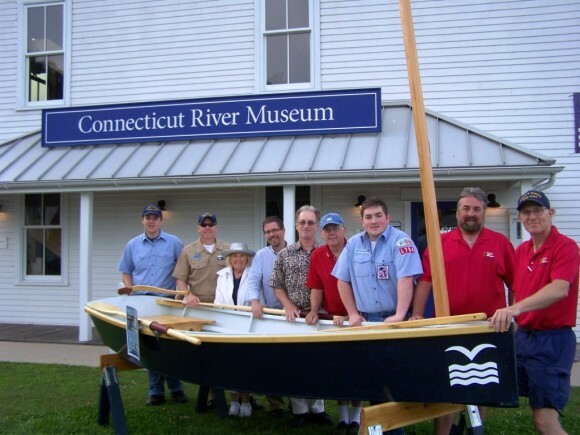 The three-day boat building workshop that the Connecticut River Museum is offering for families and adults will be held on August 22 – 24. Participants can either do the workshop as individuals or as a group (up to four people). There is no previous boat building experience required to build one of these kits. However, organizers do expect that participants will have basic woodworking knowledge. Space is extremely limited for the boat building workshop. Participants must be at least 10 years old (13 if they are doing it as part of the Sea Scout program) and accompanied by an adult. The deadline to register is Monday, July 14. The $1,500 program fee includes all the supplies needed to build the CRM 12, oars, and instruction. By the end of the weekend, participants will have a nearly completed boat (all but paint) that is ready to take home. The basic kit is designed to be rowed. 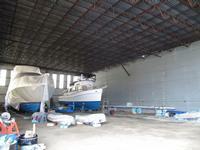 However, a sailing conversion kit and sail is available for an additional cost. Paul Kessinger, owner of Madison Kit Builders, has donated and constructed a CRM 12 that is now on display at the Museum for those interested in seeing the final product. Thanks to the generous donation of Saybrook Point Inn & Marina, there is no cost toSea Scouts. For more information, visit www.ctrivermuseum.org or call 860-767-8269. The Connecticut River Museum is located at 67 Main Street, Essex and is open daily from 10 am – 5 pm. For more information, call 860-767-8269 or go to www.ctrivermuseum.org. The Sea Scouts gathered at the Connecticut River Museum with Steve Tagliatela, Chris Dobbs and Boat Building Volunteers to celebrate the sponsorship. The Scouts will be one of the groups that take part in the public Boat Building Workshop held at the Museum in August. Left to right: Isaac Doggart of Niantic, Commodore Marshall Parsons, Museum Director Chris Dobbs, Steve Tagliatela of Saybrook Point Inn & Marina, Paul Kessinger of Madison, Daniel Puttre of Old Saybrook, Skipper AJ Maxwell of Chester and Tom Doggart of Niantic. Ivoryton: We are so excited to announce a brand new program at the Ivoryton Playhouse starting in July. The Ivoryton Players is an opportunity for adults who love the theatre to have fun, meet new friends and put on a show! You will learn about professional theater while preparing and rehearsing for a staged reading with the performance on 12/09/14 on the Ivoryton Playhouse Stage! All levels of experience or no experience are welcome. Here comes the fun … NO MEMORIZING! If you are interested in performing again in your life or it is on your bucket list to see what it’s like to be “in the theater”, here’s your chance. If you want to be a part of this fun group but would prefer to be involved in the backstage work essential to a great show, there are props, costumes, set design, stage managing, publicity, understudies and more. We will be performing a riotous comedy to be announced. The first meeting will include a welcome packet for all, an overview of the club and some hilarious get-acquainted improvisations. We will then start the rehearsal process in the next meetings. The Ivoryton Players director is Joyce Beauvais. Joyce, after settling in CT, currently runs this program in Old Saybrook and also starting in East Lyme. Ms Beauvais brings with her a lifetime in the theater performing her first professional role at age seven. She lived in NYC for over 25 years as an actress in stage, TV and film, also a Broadway and Off-Broadway producer and 5 years as owner and operator of Chez Beauvais, Restaurant and Cabaret. Chez Beauvais was a boite on Tenth Ave., NYC offering fine cuisine and the best of New York City jazz. She partnered with uber agents Jack Rollins and Jane Rollins. After moving to FL she continued to perform as an actress but also developed this program that today will be the Ivoryton Players. “The mix of people and experience”, Joyce finds, “turns into the magic one only finds in theater”. Joyce promises this will be one of the times of your life! Sign up now for our very first meeting of the Ivoryton Players. We begin Monday, July 18th from 1:00 to 3:30PM (time flexible according to membership needs) and will meet every Monday up till the show at the Playhouse Rehearsal Studio, 24 Main Street, Centerbrook. Call Krista at 860-767-9520, ext 205 to register. There is limited enrollment and only a $5 charge per class (funding available for those who need it), so come and join us. I promise you, after one meeting you’ll be hooked! 1. If hunting is allowed, how will it be regulated? Are you comfortable having hunting here? What types of ammunition will be allowed? 2. What is the exact cost per taxpayer? 3. Has anyone from Old Saybrook approached Lehman Brothers directly regarding an outright purchase by Old Saybrook? What would OS purchasing the land itself cost dealing directly with Lehman Brothers? What would $3,000,000 buy without the state’s added investment? 4. Why is the State interested in investing into the ‘Preserve’? 5. What are the Pro’s and Con’s to this purchase? The Connecticut River Watershed Council (CRWC), along with the Appalachian Mountain Club and the Vermont River Conservancy, launched the extension of the Connecticut River Paddler’s Trail into Massachusetts and Connecticut at Lyme’s Gillette Castle State Park last Saturday, June 21. The Council, along with project leaders from the other two organizations, unveiled the plan for the expanded trail, which currently just serves Vermont and New Hampshire. The Connecticut River Paddlers’ Trail is managed by a collaborative of organizations working together on trail planning and development, building and stewarding primitive campsites, improving access points and portage trails, and disseminating information to visitors. Steve Grant, a Pulitzer-prize nominated journalist, spoke at the Celebration. Jim Dina, an intrepid explorer and author of The Voyage of the Ant, was also a featured guest. The two guests have deep connections with the river. Grant has worked as an outdoor and environmental reporter for the Hartford Courant for over 29 years and wrote a 17-part chronicle of his journey from the headwaters of the Connecticut River down to the Sound. Dina’s work, The Voyage of the Ant, relays his experience paddling up the Connecticut River in his birchbark canoe, made using Native American tools and techniques. The Celebration also included the presentation of the Bud Foster Award and lunch on site at the state park. Many of those present launched their canoes and kayaks at the ferry landing and paddled down to Selden Island State Park on the Lyme shore of the Conn River. For more about the Paddlers’ Trail, visit www.ConnecticutRiverPaddlersTrail.org. The CRWC works to protect the watershed from source to sea. As stewards of this heritage, it celebrates the River as a four-state treasure and collaborates, educates, organize, restores and intervenes to preserve its health for generations to come. To learn more about CRWC, or to make a contribution to help protect the Connecticut River, visit www.ctriver.org or call 413-772-2020, ext. 201. DEEP RIVER— The planning and zoning commission has a new special permit application for a used car dealership at the 444 Main St. property owned by local resident George Bartlett Jr., and also faces a new lawsuit filed by Bartlett over amendments to zoning regulations for motor vehicle dealerships that were approved by the commission last month. The lawsuit and the permit application that is scheduled for a July 17 public hearing are the latest developments in two years of disputes over Bartlett’s plans for the former manufacturing site on the west side of Main St. (Route 154) that he purchased in February 2012. But Bartlett, represented by Essex lawyer John Bennet, earlier this month filed a new lawsuit in Middlesex Superior Court challenging the commission’s approval in May of amendments to the town’s zoning regulations governing motor vehicle sales and repair operations, and also gasoline stations, in the Turnpike Interchange Zone. After presenting the changes at a May 1 public hearing, the commission on May 15 approved amendments that removed the 150-foot road frontage requirement for such uses, while also adding new setback and paving requirements for the uses. Entrances to motor vehicle sales and service operations, and gasoline stations, would be required to be 30-feeet wide, and have a 30-foot setback from any adjoining property line. Paving would be required for areas where there would be outside storage of motor vehicles. Bennet contends in the new lawsuit that zoning amendments would make development of the 444 Main St. parcel for a used car dealership “virtually impossible” due to the “extraordinary setback provisions.” of the amendment. The lawsuit also contends commission members and Zoning Enforcement Officer Cathy Jefferson have “personal animus and prejudice,” against Bartlett. Jefferson said this week the commission was simply trying to update the regulations for vehicle dealerships and gasoline stations that had not been revised for more than a decade. She said removal of the road frontage requirement was actually an effort to help Bartlett, while also addressing concerns about safe access and paving to contain any possible leakage of motor fuels and other fluids. Jefferson said Bartlett’s new application for a dealership on the 444 Main St. parcel would be considered under the earlier regulations, and will go forward to a public hearing on July 17 separate from the latest lawsuit over the amendments. One of the land marks of the Town of Essex, the Essex Island Marina, will be sold at auction on Tuesday, August 5. The auction will be held at the Essex Island Marina, which is located on its very own island, and which has the address of 11 Ferry Street in Essex. The auction will start at 11:00 a.m. The Essex Island Marina will be sold at what is called an “Absolute Auction.” This means that the marina will be sold to the winning bidder, regardless of the price, as long as it is over $75,000. The Essex Island Marina’s property consists of 13.2 plus, acres on a private island on the Connecticut River. The site has 125 boat slips, a gas dock, a repair shop, a laundry, a swimming pool, a dog walk, and inside and outside boat storage facilities. There is also a restaurant on the site. In addition, the sale includes the boats used to take passengers to and from the island, and miscellaneous equipment and leases. There will be a tour of the site for prospective bidders on Tuesday, July 22 from 11:00 a.m. to 2:00 p.m. Terms for the winning big include: payment of a 10% certified deposit of the winning bid, due within three business days of auction, and payment of the full price of the bid, 45 days after the close of the auction. JJ Manning, conductor of the auction, bills itself as, “the leading professional auction marketing firm in the Northeast U.S.” The company is headquartered in Yarmouth Port, Massachusetts. The present owner of the Essex Island Marina is Wallie Schieferdecker, who lives in Essex. Schieferdecker operates the marina with the assistance of his two daughters, Dawn and Kyle. Paul Risseeu, the Director of the Pettipaug Sailing Academy in Essex, and who occasionally operates the ferry from the main land to the Essex Island Marina, says that the Essex Island Marina, “is a class operation.” Risseuw also observes that, “the yacht business has been tough lately, because people are moving to owning smaller boats.” Also, “it is part of the five year recession in the country,” he says. ESSEX— The zoning board of appeals has continued the public hearing on an appeal of a town cease and desist order for alleged zoning violations at 33 Plains Road. The hearing will resume at the board’s next meeting on July 15. Property owner John Finkeldey is appealing a cease and desist order issued last January by Zoning Enforcement Officer Joseph Budrow for a structure that Budrow maintains was constructed without zoning and building permits from the town. Budrow also maintains the structure is being used as a dwelling on a section of the property that is located in the town’s limited industrial zone, where residential dwellings are not permitted under zoning regulations. Tuesday’s session was continued from May 20 to allow for completion of a detailed current survey map of the property. But local attorney Terrance Lomme, representing Finkeldey, told the board he did not receive the survey in time for the meeting. Lomme said the survey map is “critical,” and asked for a continuation of the public hearing. Lomme also serves as the elected judge of probate for a nine town region that includes Essex. Elected to the newly created position in 2010, Lomme, a Democrat, is seeking a second four-year term in the Nov. 4 election. While granting the continuance, board members also asked Budrow to begin presenting his case for the order. Budrow said he learned of the structure in June 2013 based on information provided by a town police officer. Budrow said Finkeldey later maintained the structure had been in place for more than three years, which could make it a legal non-confirming use if there was no town enforcement action taken within that time. Budrow said further investigation, including reviews of town records and aerial photos, confirmed the structure has not been in place on the property for more than three years. “Clearly we have a second house on a property with another house,” he said. Peter Sipples, lawyer for the zoning commission, said the panel is most concerned about use of the structure as a dwelling in the limited industrial zone. Sipples said the residential use would have to have been active before 1973, when the regulation on limited industrial zones was adopted, to have valid nonconforming status. Michael Wells, lawyer for the ZBA, told Lomme he should be prepared to present documentary evidence the structure was built before January 2011, three years before the issuance of the cease and desist order, when the public hearing resumes next month. ESSEX— The board of selectmen has scheduled a July 16 town meeting to vote on a $200,000 appropriation that would be the town’s contribution towards the planned $8.1 million purchased of the 1,000-acre Preserve property that includes 70 wooded acres in Essex. The town meeting vote in contingent on referendum approval in Old Saybrook of a $3 million bonding authorization that would be that town’s contribution to the total land purchase. Under a plan announced earlier this spring by state and Old Saybrook officials, the $8.1 million for the purchase would be raised through a combination of state grant funds, municipal funds, and private donations raised by the land conservation trust organizations in Old Saybrook and Essex. State grants, including some state bonding, would account for $3 million of the purchase price. Old Saybrook voters will be asked to authorize $3 million in bonding for the purchase in a referendum expected during the first two weeks of July, possibly on July 8. In addition to the proposed $200,000 in town funding, the Essex Land Conservation Trust is expected to provide a matching $200,000, mostly from private donations. The 1,000 acre forest, the subject of failed development proposals dating back to 1999, can be accessed from either Ingham Hill Road and Schoolhouse Road in Old Saybrook, and from Bokum Road that connects Essex and Old Saybrook. The property became a target for acquisition and preservation as open space after the fall 2008 financial crash that began the Great Recession. Paul Greenberg, with the Essex Land Conservation Trust, told the selectmen at Wednesday’s meeting that Bokum Road would be the access point in to the property from Essex, with plans to construct a small parking area and trails that would connect to a larger network of trails in the vast Old Saybrook section of the parcel. First Selectman Norman Needleman said the $200,000 would come from the town’s open space sinking fund, which currently contains about $225,000. Needleman said he believes town voters will support making a contribution to the Preserve purchase project, even though only 70 acres of the property are in Essex. The 70 acres in Essex has been valued at about $700,000 in two appraisals. LVVS Director John Ferrara presents the Vi Brache Student of the Year Award to Westbrook’s Sabrina Kosky at the organization’s 2014 Annual Meeting on June 18th. Literacy Volunteers Valley Shore (LVVS) held their annual meeting and recognition awards program in the community room of the Westbrook Library on June 18, 2014. The organization recognized their tutor, student, and volunteers of the year. This year’s tutor of the year is Judy LeVesque of Clinton. She will be presented the Barrie Potter Award representing the tutor who most exemplified the caring and dedication of Mr. Potter, a long time tutor and volunteer of LVVS. Judy is a 17 year volunteer tutor at LVVS teaching countless students and families to help those in need. Judy came to LVVS after a 25 year career teaching the deaf at the American School for the Deaf in West Hartford. Also awarded was. Sabrina Kosky of Westbrook was presented the Vi Brache Student of the Year award which is given to the student who has achieved in learning English and putting that learning to work. Sabrina has learned to speak English fluently, has twice won the organization’s student essay contest, became an American citizen, business owner and plans to further her education. Co-Volunteers of the Year honorees are Audrey Jacobson of Ivoryton and Edna Shaw of Deep River. Every week each of them come to LVVS to help with book sales, mailings or other tasks around the office. Literacy Volunteers Valley Shore trains volunteer tutors to teach Basic Reading and English as a Second Language (ESL) to adults to help them read, write and speak English to improve their basic life and work skills. LVVS tutors provide confidential, one-to-one instruction without charge. Volunteers currently provide language instruction to over 200 students in the eleven shoreline towns of Chester, Clinton, Deep River, Essex, Guilford, Killingworth, Lyme, Madison, Old Lyme, Old Saybrook and Westbrook. DEEP RIVER— A 135 member Valley Regional High School Class of 2014 celebrated the conclusion of their high school yearsWednesday at the school’s 63rd annual commencement ceremony. A crowd of several hundred friends and family members from the Region 4 towns of Chester, Deep River, and Essex watched the program in sunny but cool weather from a field on the southeast side of the school grounds off Kelsey Hill Road. Principal Kristina Martineau welcomed the crowd by noting the retirement of six longtime district teachers, including high school English teacher Margaret Meehan and foreign language teacher Maria Tellechea. Martineau said members of the class had many accomplishments in academics, athletics, and arts during the past four years while also often serving as volunteers in the school system and the three district towns. “Achieving and living this balance- the pursuit of personal success and service to others, is what it means to be a Valley Regional High School Warrior,” she said. Superintendent of Schools Ruth Levy noted that school staff, parents, and family members have played a role in mentoring the graduates through their years in Region 4 schools, and urged them to also serve as mentors in their post-high school lives. “As you, the Class of 2014, move on from Valley, and in to your adult lives, I encourage each of you to seek out your niche and live an amazing life. to be both a mentee and a mentor,” she said. Valedictorian Phoebe Petrivic expressed appreciation to her teachers and other school staff. “Each of you has benefitted from a similarly essential relationship, whether a coach, a director, a teacher, or a friend. Other’s belief in us, and the resulting belief in ourselves, has helped fuel our growth,” she said. After nine years of creating some of the most interesting adult programs on the Connecticut shoreline, the Essex Library’s Programming Librarian, Jenny Tripp, is be retiring from her position effective July 1. During her service at the library Tripp has been the creator of many of the library’s most popular programs. Another popular library program that Tripp created is the “True Crime” series.” This series featured discussions of “cold cases,” an examination of the murder trial of Martha Moxley, and a lecture by Dr. Henry Lee, a noted forensic pathologist, who has reviewed hundreds of cases of foul deeds. Another significant accomplishment of Tripp has been her creation of a Bereavement Support Group, which meets twice a month, and which she characterizes as “the program of which I’m most proud.” Roughly a dozen of evolving library patrons attend the sessions of the open group, based on personal need. Another activity of Tripp has been chairing two of the library’s book clubs. One of the clubs is the Classic Plays Readers Club, which has exhaustively discussed Shakespeare’s plays, and other classic works as well. The next play to be discussed is Tennessee William’s The Glass Menagerie. Tripp’s second book club, the Classic Readers Group, has tackled tomes as diverse as The Magic Mountain and The Adventures of Huckleberry Finn. The current selection of the club is The Red and the Black by Stendhal. As if this was not enough, Tripp has also hosts a memoir writing group at the library. For all her reputation as the “go to” person on perhaps every aspect of the library, Tripp has been actually a part time employee working only 24 hours a week. As for her own personal background, Tripp was an English major at the University of California (Berkley). She has also worked extensively as a screen writer, and is a lifetime member of the Writer’s Guild of America. Essex Library Director Richard Conroy was fulsome in his praise of Tripp’s work at the library. He said, “She has been one of the key factors in the success of the library this past few years,” He noted that library attendance is up, and that there has been an upgrade as well in the quality of the library’s services. Conroy especially praised Tripp’s, “intellectually stimulating programs,” singling out the True Crime series, the Science for Everyone series, and her Shakespeare and Classic Book clubs as well. “How do we replace the irreplaceable?” he concluded. Valley Regional High School 10th grade students (l-r) Sam Armenia, Alex Tiezzi and Ben Toles. Lessons learned in civics class transformed into tangible help for local families in need when three 10th grade students from Valley Regional High School held a “Civics in Action Stuff-A-Truck” food drive for The Shoreline Soup Kitchens & Pantries (SSKP) at Deep River Adams Supermarket. 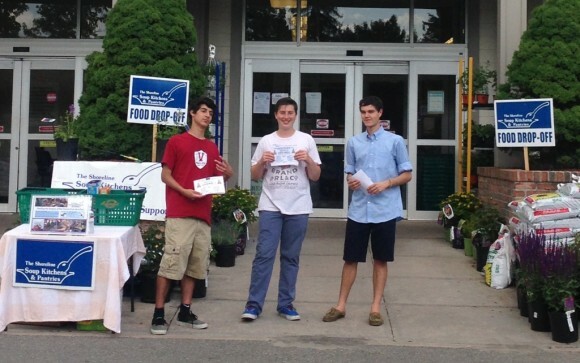 The students, Alex Tiezzi, Sam Armenia and Ben Toles, all of Chester, explained their project and asked shoppers to donate groceries for the drive. In a single afternoon the boys had filled the SSKP truck with 1,751 pounds of non-perishable food. The food was delivered to SSKP’s Westbrook Pantry, which distributes over 15,000 pounds of food every month to hundreds of local families in need. Deep River Adams Supermarket manager Jeff Prindle also helped in the effort, by providing food “at cost” for a $1,000 donation made by supporters of the food drive. Founded 25 years ago, The Shoreline Soup Kitchens & Pantries provides food and fellowship to people in need and educates the community about hunger and poverty, serving the Connecticut shoreline towns of Essex, Chester, Clinton, Madison, Old Saybrook, East Lyme, Lyme, Old Lyme, Killingworth, Westbrook and Deep River. Last year with a small staff and over 900 dedicated volunteers, SSKP served over 908,000 meals worth of food to shoreline neighbors in need. ESSEX— The zoning board of appeals will hold a public hearing Tuesday on an appeal of a town cease and desist order for alleged zoning violations on a property at 33 Plains Road. The hearing begins at 7:30 p.m. in town hall. John Finkeldey, the property owner, is appealing an order issued in January by Zoning Enforcement Officer Joseph Budrow on the existence and use of a structure that was constructed without permits from the town. Finkeldey is expected to be represented in the appeal by Terrance Lomme, an Essex lawyer who also serves as the elected judge of probate for the nine-town region. Budrow said he learned of the alleged zoning violations based on a complaint received last summer. He said efforts to resolve the issues through meetings and correspondence with Finkeldey were unsuccessful, leading to the case and desist order. Budrow said the single-story structure was constructed without required approvals from his office, or the town health and building departments. Budrow said he believes the structure is being used as a dwelling, but much of it is located in the town’s limited industrial zone, where dwellings are not permitted. Budrow said there are also setback violations related to the structure and other accessory buildings on the property. Budrow said he believes there are violations of ten town zoning regulations related to the structure and accessory buildings. Under state law, the ZBA has authority to uphold or overturn cease and desist orders issued by a municipal zoning enforcement officer. Lomme, a Democrat, was elected in 2010 as judge of probate for a nine town region that includes Essex. He is seeking a second four-year term in the Nov. 4 election in a contest with Anselmo Delia, the Clinton Republican who also ran for the position in 2010. Additionally, 13 campership awards of $125 each were given to Essex Park and Recreation Summer session. These will be distributed by Park and Recreation. Three awards of $520 were given to Bushy Hill Nature Center to be distributed by the Center. The Essex Garden Club congratulates all the winners and thanks the Essex community for its ongoing support which allows the Club to provide these educational opportunities to our students. 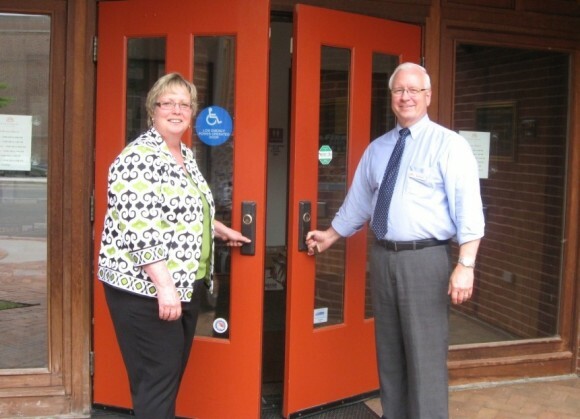 Wendy Madsen, President of the Friends of Essex Library, presents Richard Conroy, Library Director, with the Friends’ annual donation on June 5, 2014. 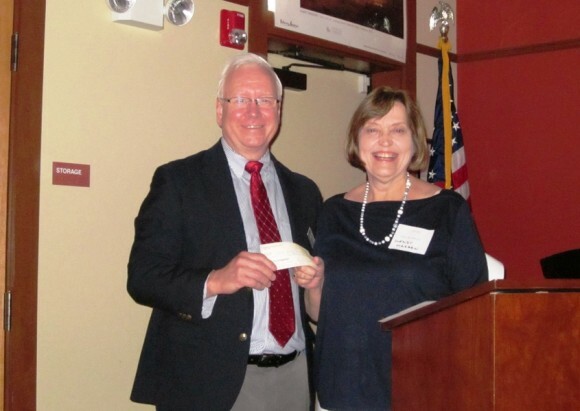 The Friends of the Essex Library presented Richard Conroy, Director of the Library, with a check for $10,000 during their Annual Meeting on Thursday June 5. This supplements the $20,000 donation the Friends gave the Library in November 2013, making the Friends total donation this year $30,000. “The Friends are crucial in making the Essex Library an exciting and vibrant community resource,” said Richard Conroy in accepting the check. The Friends’ donation has been used by the Library to enrich their offerings in a variety of ways. It has allowed the purchase of Ancestory.com for genealogical research, Mango.com for foreign language study, Zinio.com for online magazines, passes to local museums for patrons to borrow, and DVDs of popular series. It has supported the Library’s Book-a-Baby outreach, the children’s summer reading program, and participation by Library staff in professional development conferences. DEEP RIVER— Town officials and engineers will be revisiting a sewer expansion project planned for several streets in the town’s north end after all six bids opened last week were over the $4 million allocated for the project. First Selectman Richard Smith said he and members of the water pollution control authority will meet with project engineers, with the Meriden firm Cardinal Engineering, to review options for scaling back the project to reduce the cost. Voters at a May 2013 town meeting authorized the project with a funding limit set at $4 million. The project, which would extend sewer service to about 120 properties on and around River Street and Kirtland Street, was to be funded through the U.S. Department of Agriculture with a $1.2 million grant and a $2.8 million loan that would be repaid over 40 years at 2.75 percent annual interest. All of the bids opened last week were over $4 million, with the lowest bid from Baltazar Contractors Inc. of Ludlow, Mass. coming in at $4,828,958 for a base bid and a bid of $5,5,507,658 that would include all project alternates. The second lowest bid was $5,397,039 and $6,066,954 from C. J Fucci Inc. of New Haven. Smith said the project would be revised and rebid over the next few weeks. Smith said he is hopeful a revised bid for a scaled back project could be approved by the board of selectmen and WPCA in time for a late summer start of construction for the project. DEEP RIVER— A slightly reduced $15,277,887 town/schools spending plan for 2014–2015 was approved at a town meeting Monday on a 92-24 paper ballot. The budget, which will require a 0.80 increased in the property tax rate, was initially rejected on a 115-78 vote in a May 27 referendum. After the referendum defeat, the finance board approved a $25,000 reduction, $12,500 from the town government budget and $12,500 from the appropriation for Deep River Elementary School. But the board was unable to make any changes to the major factor in the tax increase, the town’s share of the Region 4 education budget, after it was approved in a separate referendum on May 6. Voters in Deep River opposed the Region 4 budget, 156-69, but it was approved with support from the voters of Chester and Essex. With more students attending Valley Regional High School and John Winthrop Middle School, Deep River faced a steep $442,063 increase in it’s share of the Region 4 budget. The Region 4 increase accounted for all but $56,313 of a total spending increased of $498,376. With declining enrollment, the $5,461,500 appropriation for the elementary school was actually down by $49,658. Finance board chairman John Bauer said the board was unable to make any reductions in the Region 4 appropriation that could have reduced the tax increase. “Nothing can be done after that budget is approved” in the three-town referendum, he said. Bauer said the town government and elementary school appropriations were already “very tight,” adding the town is unable to transfer any money from an undesignated fund balance that only contains about $500,000. Richard Balducci, a former speaker of the house who also served on the local board of finance, urged the crowd to approve the revised budget, and then become more involved in the Region 4 budget process and referendum next year. Balducci contended the supervision district budget, which funds shared services in the school system and is then included with the Region 4 and elementary school budgets, can be a major factor in higher education costs even with lower student enrollment. After about 30 minutes of discussion, voters lined up to cast paper ballots on the budget. The new tax rate of 25.88 mills represents $25.88 in tax for each $1,000 of assessed property value. CT Water employees Chris Lanfair, Dave Radka, Claire Bellerjeau, SSKP Director of Development & Outreach, and CT Water employees John Holland and Cathy Mullen. 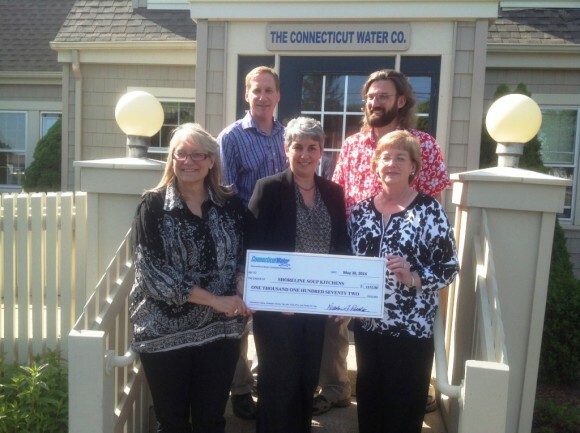 Employees of the Connecticut Water Company’s office in Clinton presented The Shoreline Soup Kitchens & Pantries a donation of $1,172, representing the proceeds from their Family Fun Day held on May 3rd. The event, which was free to the public, included a tag sale comprised of employee donations and office equipment and electronics donated by CT Water. The public was also encouraged to donate non-perishable food items which were delivered to Shoreline Soup Kitchen’s Clinton Pantry. A CT Water ‘Touch a Truck’, bounce house for kids, and other activities rounded out the day of fun. Connecticut Water serves about 90,000 customers, or 300,000 people, in 56 towns across Connecticut. Connect to CT Water on Facebook at www.facebook.com/CTWtr and Twitter at www.twitter.com/CTWtr. Founded 25 years ago, The Shoreline Soup Kitchens & Pantries provides food and fellowship to people in need and educates the community about hunger and poverty, serving the Connecticut shoreline towns of Essex, Chester, Clinton, Madison, Old Saybrook, East Lyme, Lyme, Old Lyme, Killingworth, Westbrook and Deep River. Last year with a small staff and 900 dedicated volunteers, SSKP provided enough food for 908,000 meals to shoreline neighbors in need. TTYS – Talk Early, Talk Often! Tri-town area parents who took Tri-Town Youth Services’ Parent Survey recently overwhelmingly support the Tri-Town Substance Abuse Prevention Coalition’s efforts. Parents show awareness of the harm the use of tobacco, alcohol and drugs can cause for youth and report having rules in place to discourage such use. While a large majority of parents said they discourage their children and youth beginning in elementary school and throughout high school from using cigarettes, marijuana and from misusing prescription drugs, many report they wait until their young person reaches middle school levels to discourage alcohol use. According to The Substance Abuse and Mental Health Services Administration (SAMHSA), parents and caregivers are the leading influence in a young person’s decision not to drink. SAMHSA recommends parents talk with their children about alcohol use earlier than middle school. SAMHSA’s “Talk. They Hear You” campaign aims at reducing underage drinking by providing parents and caregivers with information and resources they need to start addressing the issue of alcohol with their children as early as 9 years old. To access traditional and web based resources for talking to children and youth about alcohol, visit beta.samhsa.gov/underage-drinking. Many parents who took the Tri-Town Parent Survey also entered a drawing to receive one of several gift cards. Winners include Alan Parker of Ivoryton, Dawn Saunders of Chester, Doreen Breault of Essex, Liz Tracy Montecalvo of Deep River and Kathryn Ryan of Ivoryton. ESSEX— Voters at a town meeting Wednesday approved amendments to two town ordinances, effectively ending the role of the sanitary waste commission and revamping the 2004 delay of demolition ordinance for historic structures. About 15 residents turned out for the town meeting that was preceded by a public hearing on the changes that were endorsed last month by the board of selectmen. One amendment, which drew an opposing vote from Republican Selectman Bruce Glowac, ends the joint commission status for the water pollution control authority/sanitary waste commission that was established under a 1991 town meeting vote. The seven appointed members of the dual commission will continue as the water pollution control authority with staggered two-year terms and a renewed focus on sewer avoidance and wastewater management issues. But Glowac, who served on the sanitary waste commission before winning election as first selectman in 1991, maintained there is still a role for a volunteer commission in coordinating the town’s solid waste disposal and recycling efforts. “Municipal solid waste, bulky waste and recycling are ever changing subjects in today’s world and a volunteer commission can be an asset to the town,” he said. The amendment was approved on a nearly unanimous show of hands vote, with Glowac opposed. The revision of the delay of demolition ordinance was approved on a unanimous vote without discussion. Needleman said the amendments clarify the process for an ordinance that was first adopted in 2004 at the urging of the late town historian and author Donald Malcarne. The amendments do not change the 75 years trigger date where advance posting and notice are required before a demolition permit is issued by the building official for a potentially historic structure.. If the town historian or Essex Historical Society raises an objection, a 90 days delay would be required before the building official could issue a demolition permit. 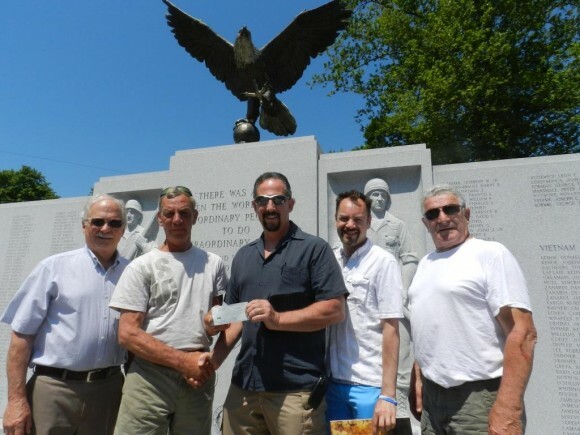 Authors Todd A. Curry and Christopher D. Abbott have donated a portion of their profits from one of their recently released thrillers, to the Chester Chapter American Legion, Post 97. The donation is to offset the cost of flags that Legion members place on the graves of our fallen soldiers. For more than 200 years, Old Glory has served as a symbol of our Nation’s freedom and as a source of pride for our citizens. On “Flag-day” we recognize our veterans who served to protect the flag. We honor those many soldiers who gave the ultimate sacrifice, in the name of Liberty, Unity, and Justice. The members of the American legion, post 97 in Chester, are just a few of the 800,000 members of the National American Legion, who volunteer millions of hours of their time yearly. Members of the Essex Cub Scouts, Pack 4. This spring local Cub Scouts and Boy Scouts participated in “Scouting for Food” service projects to benefit The Shoreline Soup Kitchens & Pantries. 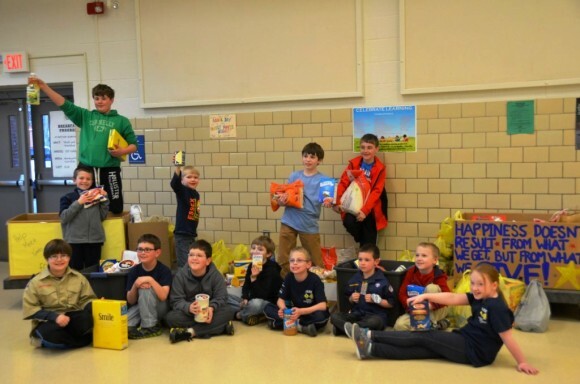 Twelve members of the Essex Cub Scouts of Pack 4 held a food drive, collecting 707 pounds of non-perishable food. The Essex Cub Scouts, who are between 7 and 10 years of age, each gathered an average of 55 items of food, or about 60 pounds of food each. Also, a group of four Westbrook Boy Scouts from Troop 38 made a special visit to SSKP’s Westbrook Pantry to learn more about the issue of hunger along the shoreline, and presented a $200 donation on behalf of their troop. 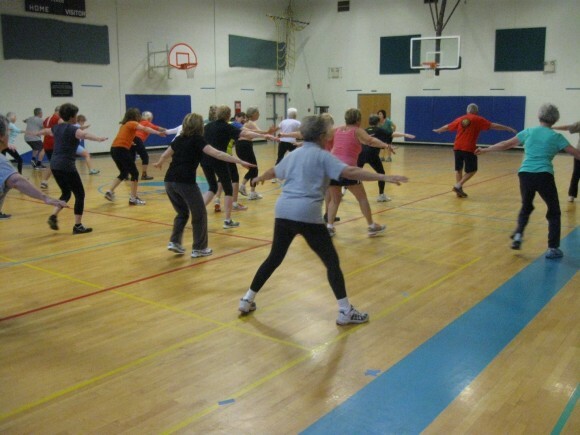 The Valley Shore YMCA, located on Spencer Plains Road in Westbrook, is losing its number one exercise instructor. She is Lisa Laing, better known, simply as “Lisa” by her many friends and admirers. 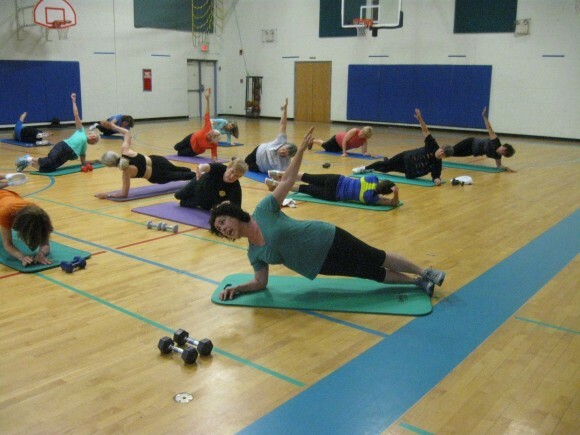 Lisa, who lives in Ivoryton, has been teaching four straight, one hour sessions, of advanced exercise classes, three days a week, at the Y since 1993. Her last day of teaching these exercise classes at the Y was on Thursday, May 29. In addition to doing each exercise with her students, Lisa at the same time called out instructions, no matter how contorted her own body at that particular moment. Worth noting as well, her exercise sessions were non-stop, one exercise after another, unrelenting. Furthermore, Lisa not only taught a one hour exercise class at nine o’clock, she taught another at ten o’clock, yet another at eleven o’clock, and finally another at noon. This meant that she was teaching and exercising for four hours straight. Nor did she skimp in doing all the exercises herself with her students. Three days a week, Monday, Tuesday and Thursday, this was her schedule. The stamina, the refusal to admit fatigue, and to just keep going at each session, almost defies imagination. How did she ever do this crushing schedule for so long? It was no wonder that her students held a party for her to show their appreciation in the final days of this schedule at the Y. No less than 150 people attended to party to play tribute to Lisa. “I was stunned and honored” by the turnout, she said modestly. Janet Fay of Westbrook, “She has been an inspiration to us. 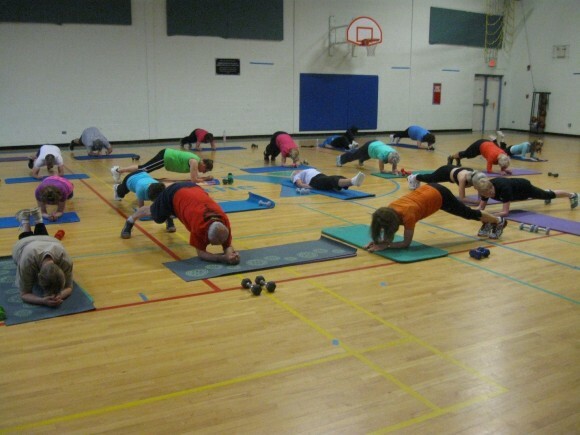 They call these “planks.” A lot of fun? Not! Lisa says that one of her teaching secrets is that, “I am great about asking people’s names.” Also, she also loves, “to see the growth and new vitality by people who once were self-professed couch potatoes.” She continues, “I love to witness peoples’ little ‘ah’ moment, when they realize that they have accomplished something,” by exercising. 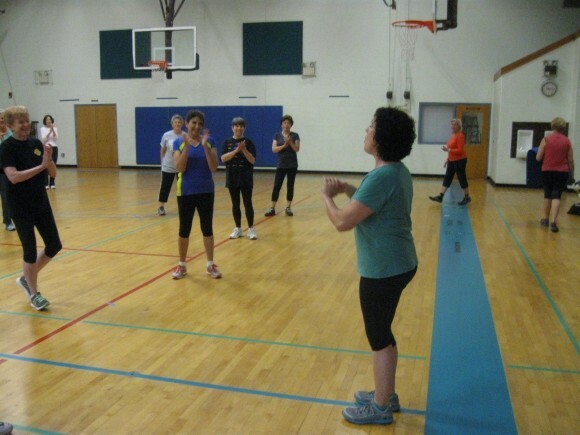 Lisa says that although she will no longer be teaching a full schedule of exercise classes at the Y, she will continue to help lead the Y’s “Hope Is Power,” a program for cancer survivors. 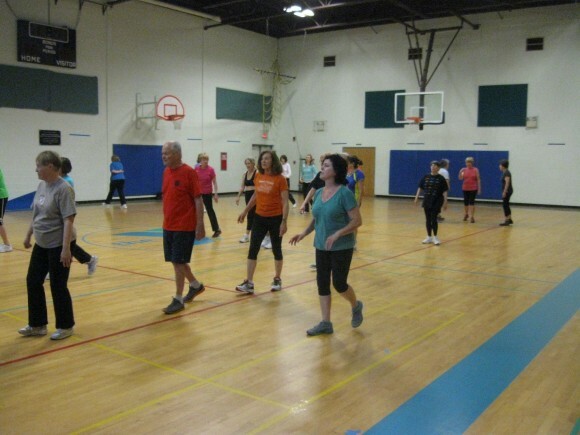 This wellness group meets two times a week with one hour and a half sessions. 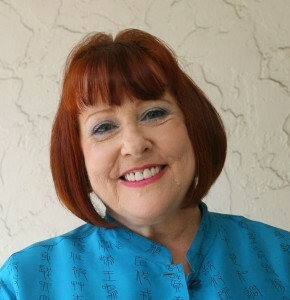 Lisa, herself, is a certified Cancer Exercise Specialist, and she co-leads the program with fellow instructor, Linda Lawton. 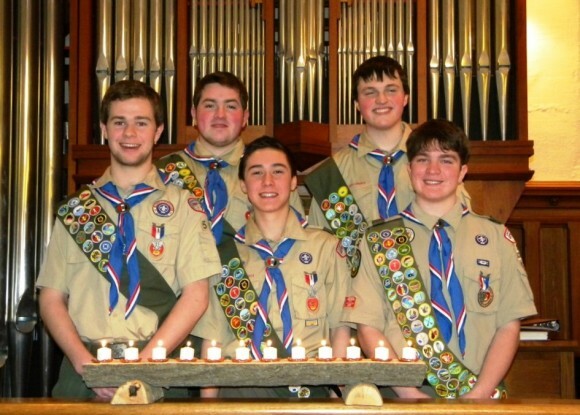 Old Saybrook’s Boy Scout Troop 51 gathered on April 6, 2014 at Grace Church to celebrate their five newest Eagle Scouts. The five new Eagle Scouts are Jack Frysinger, Daniel Puttre, Cody Walden, Joshua Chang and Timothy Foley. These fine young men received the Eagle Scout award, Boy Scouting’s highest honor that is achieved by just 5% of the Boy Scouts in the nation. Each of these new Eagles have spent years in scouting performing community service, earning merit badges, and helping to teach younger scouts camping and leadership skills. Additionally, each of these young men planned and executed an Eagle project to better the community. Jack Frysinger chose to rehabilitate the pavilion at Town Park for his Eagle project. With the help of many scout and adult volunteers, he removed the broken supports for the old benches and installed and painted new benches outfitted with sturdy supports. He and his team also repainted the upright roof columns, replaced missing rocks in the stone foundation, and cleaned out years’ worth of trash and debris. Currently a senior at Old Saybrook High School, Jack will attend Northeastern University in the fall to study Computer Science. Joshua Chang renovated the trailhead and restored the fishway near the Crystal Lake dam for his Eagle project. His project involved installing a drainage pipe and filter fabric under the trail, spreading gravel, sand, and round stones and placing large paving stones over the trail. The fishway in the trailhead area, which allows fish swimming upstream to access the lake to spawn, was damaged in the flood of March 2010. The restoration of the fishway included recovery of surge stones that were washed down stream by the flood and rebuilding of several weirs in the fishway. Joshua is completing his freshman year at Old Saybrook High School and plans to remain active in scouting for the remainder of his high school career. Cody Walden’s Eagle Project was to further protect Long Island Sound by building and installing Fishing String Recyclers to help birds, fish, and turtles remain tangle-free from fishing line disposed of in the Sound. The recyclers were placed at major spots in town: the Causeway, Dock and Dine, Gardiner’s Landing, North Cove, Town Dock and three marinas in the Town of Old Saybrook. Cody is a senior at Old Saybrook High School and will graduate in June. Cody will attend Keene State College in the fall to major in History and Political Science. Tim Foley’s Eagle Project was to refurbish the seawall, sidewalk and grassy area at Gardiner’s Landing in Old Saybrook. Tim and his team of fellow scouts also received assistance from the Old Saybrook Land Trust and Public Works. The project included filling large crevices and holes with riprap stone; covering the area with stabilizing tarp; adding topsoil and planting grass. Additionally, Tim installed a permanent pole for a fishing line collector. Tim is a senior at Old Saybrook High School, graduating in June. Tim will attend the University of Vermont in the fall to study engineering. These new Eagle Scouts are grateful to their fellow scouts, leaders, adult volunteers, and family and community members for their assistance and guidance throughout their years in scouting and during their Eagle projects. Troop 51 extends a heartfelt thank you to Grace Episcopal Church in Old Saybrook, for their many years of support and sponsorship. Old Saybrook is very fortunate to have such a successful program to guide and build independent young leaders. If your son would like to join Troop 51 or if you are interested in supporting this program, please contact Scoutmaster Bill Hart , or Committee Chairman John Puttre at 860-388-6116. The Gray School, Old Saybrook is delighted to announce that Craig Ashurst, TCRG will be joining their faculty this summer. “Craig brings with him enormous talent, impressive experience, and immense passion for Irish dance. We could not be more excited to officially welcome him into our Gray School family!” said Iris Gray, principal of the Gray School of Irish Dance. Craig started dancing in his hometown of Melbourne, Australia at the age of 5. 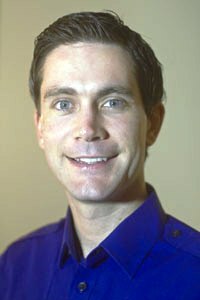 By the end of his competitive career, he held 10 Regional titles and 9 Australian National titles, in addition to winning the British National, Great Britain, and North American Championships. Craig also had the honor of winning the much-coveted All Ireland title while dancing with the prestigious Danny Doherty Academy in England. Upon making the switch to performing in shows, he danced along side Michael Flatley during the filming of the Lord of the Dance 3D movie. 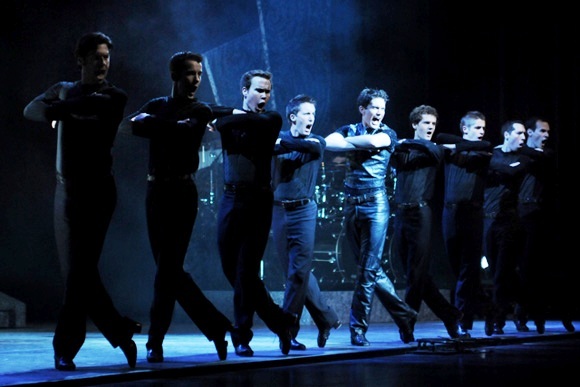 Craig performed as a principle dancer in Riverdance for most of his 6 and a half years with the show and was also awarded his Irish dancing teachers certificate (T.C.R.G) from the Irish dancing commission in Dublin Ireland. Craig has instructed Irish dance at the Camp Rince Ceol Irish Dance Camp for five summers and has conducted various workshops in different parts of the world. Irish Dance is a great sport no matter what direction you choose to take. It is fantastic exercise that builds both confidence and discipline and offers students the opportunity to participate both individually and as part of a team. The Gray School of Irish Dance, is the premier School of Irish Step Dance in Connecticut, with over 35 years of experience teaching dance to children from all over Connecticut, Massachusetts and New York. 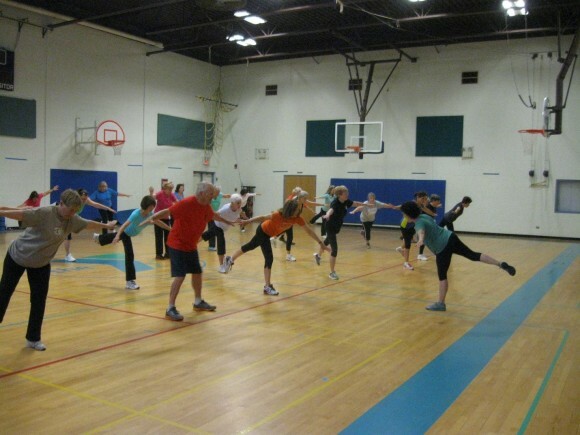 They offer introductory or recreational dance class for fun and exercise, as well as competitive classes for those who wish to compete in the USA and Internationally. They offer classes and graded exams in Traditional Irish Dance taught to the standards of An Coimisiùn, Ireland for children and adults.